What an amazing experience it was to visit Dr. Rashbaum and everyone at his practice. From the second you walk in,you’re greeted by friendly faces ready to ease your visit and give the best care possible. I cannot recommend this practice enough. What an amazing experience it was to visit Dr. Rashbaum and everyone at his practice. From the second you walk in, you’re greeted by friendly faces ready to ease your visitand give the best care possible. I cannot recommend this practice enough. After completing his bachelor's degree at the University of Michigan, Dr. Rashbaum earned his dentistry degree from the University of Pennsylvania School of Dental Medicine, a premier Ivy League dental school recognized for its innovative and expansive educational program, followed by a residency in general practice at the Washington D.C. Veterans Affairs Medical Center. Dr. Rashbaum maintains active memberships in several professional societies, including the Academy of General Dentistry, the International Academy for Dental Facial Esthetics, the American Academy of Facial Esthetics and is an Associate Fellow of the World Clinical Laser Institute. Through laser dentistry, we are able to offer patients, in many cases, restorations and gingival surgeries without the need for anesthesia, sutures and without any significant bleeding. Dr. Rashbaum believes strongly in patient education and takes the time to ensure every patient he treats understands their oral health and the conditions or issues that affect them, as well as their treatment options so that they can make informed and educated decisions they can feel confident about. Every treatment plan is carefully mapped out based on each patient's unique needs and treatment objectives for superior results and optimal outcomes. Our office enjoys the opportunity to care for new patients. The practice accepts most major forms of PPO dental insurance. We also offer multiple options for in house and third party financing Dr. Rashbaum has been the spokesperson on QVC since 2012 for Supersmile Professional Whitening System, founded by the acclaimed father of Aesthetic Dentistry, Dr. Irwin Smigel. Fast and efficient. I enjoyed my visit to this dental office!! Perfect experience- wisdom teeth were taken out in 10 min with no pain! Best dentist in Manhattan ...with a staff that follows! Great job, friendly staff and close to many midtown offices! I really like Dr. Rashbaum and his staff. I want to mention that Samantha was especially wonderful. She was able to take X-rays without irritating the tori bones in my lower jaw. A first for me! She also explained why theskin in my mouth sloughs off sometimes. Dr. Rashbaum is very nice and attentive. I felt very well taken care of. Had no wait time & assisted immediately. Everyone was very nice and helpful. The nicest dentist in the city, also very thorough! Had insurance trouble and the staff couldn't be nicer or more helpful! Didn’t wait at all. The dental hygienist was fantastic. She kept checking in as she was cleaning my teeth to make sure I was comfortable. Did X-rays, cleaning, and check-up all under an hour. I went in as a new patient because the reviews on here were glowing. Dr. Rashbaum did the cleaning himself, and he and his staff, from front desk to assistant in the room, were wonderful. I recommend highly and this office has a new regular patient! Love Dr Rashbaum and his staff! I’m lucky to have such a great dentist so close to my office. He’s been my go-to since moving to NY 3 years ago. Great dentist. I never wait, the staff is very friendly, and they really care about your health. I went to Dr. Rashbaum's office for a cleaning and was lucky enough to have him do it himself. June at the front desk was really friendly and Yvonne who took my xrays was very considerate. Dr. Rashbaum listened to allof my concerns and addressed them. I was really impressed with the whole experience. best dental experience of my life!! It was a very detailed examination, and i could ask any questions i want. Thank you! I came to see Dr. Rashbaum to get a second opinion on some fairly extensive dental work another dentist told me I needed. The receptionist June was absolutely wonderful about working with my other dentist to receive a copy of myx-rays and, when I ran into issues with getting my x-rays transferred, Dr. Rashbaum offered to take a few at no cost to make sure I could get the best possible care. Dr. Rashbaum was honest and gave his professional opinion without trying to influence me to see him over my other dentist. Dr. Rashbaum was wonderful at explaining any issues with my teeth. He made me feel comfortable and put up with my numerous questions. Definitely switching from my old dentist to Dr. Rashbaum! What a great appointment! I didn't' have to wait at ALL and the staff was incredibly friendly and welcoming. Going to the dentist always makes me very nervous but I felt completely at ease with Dr. Rashbaum and his whole staff.I had two fillings- I was comfortable and the whole process was easy and painless! I'm incredibly pleased with my visit and will definitely be coming back for future checkups! I had a wonderful visit with Dr. Rashbaum. He was thorough and friendly, with a wonderful staff. Everyone was professional and very helpful. I'll definitely be back! I've been going to Dr. Rashbaum for a few years after being recommended by some friends. Super thankful! Cracked a tooth the other day on a nut and was freaking out. Dr. Rashbaum numbed me up painlessly and quickly and reallytook the time to fix my tooth so it looked natural. Holiday miracle! Awesome dentist! He was very good and skillful. I was there around autumn/winter 2012. Dr Rushbaum was very friendly, I got seen right away and feel he has a really great attention to detail. My first Botox experience with Dr. Rashbaum was exceptional. He was very knowledgeable, thorough and made me feel completely relaxed as I was a bit nervous heading into the appointment. This will definitely be the first of many visits with Dr.Rashbaum as I couldn’t be more pleased with my results. I had another amazing Botox appointment with Dr. Rashbaum yesterday. He is extremely thorough and I left knowing the results will be as perfect as always. Competent and fast! Very courteous and friendly. He explained everything clearly and consisely. Will definitely see him again! 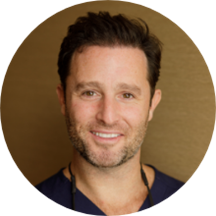 First and foremost Dr. Rashbaum is a great Dentist and in the last year I discovered that he is also a great Botox Practitioner. He always listens to my concerns and is extremely conscientious to ensure that I am more thansatisfied with the results (pretty teeth and no wrinkles). I will definitely be going to Sculpt Aesthetics for years to come. Dr. Rashbaum and staff were stellar. I needed a filling repaired and they were able to see and treat me in the same day. My treatment was attentive, pain-free, and timely. Highly recommend this office. Dr. Rashbaum is fantastic. He's personable, kind, and great at what he does. He communicates well and you feel comfortable while he's working. I can't recommend him enough. He was efficient, his team was pleasant and it was quick! Excellent! Very professional, attentive and efficient. Would highly recommend. Thank god. My tooth was hurting. He cleaned up an old poorly done root canal! Great dentist and I am always seen on time! I have already recommended him to my co-workers. I was able to schedule a same day appointment after having another cancelled because of the New Year's Eve holiday. He and his assistant were very warm, knowledgable and professional. They researched my insurance details (which I providedin the notes section of my zocdoc appointment) and have great information on my prognosis and treatment options. I'd highly recommend to any dental patient! Dr Rashbaum was very gentle and explained everything before it was done. My cleaning was done on time as well as a quick Botox treatment. He was really kind, thorough and you could tell he genuinely cared about you as a patient. Definitely going back. Nice office. Nice front desk woman. Very helpful all around. Dr. Rashbaum was extremely professional and worked hard to see me on time according to my scheduled appointment start time. The team was very warm and made me feel comfortable. I highly recommend Dr. Rashbaum! The entire staff is very friendly. It is very easy to schedule an appointment and the wait times are very short. Dr. Rashbaum made an effort to elucidate me on what was happening with my teeth. I like to know what to expect. Everyone at the office is very friendly. Very professional and answered all of my questions thoroughly. I highly recommend him.